One of the most exciting days of the year to get engaged is Valentine’s Day. If that’s the game plan, then learning about the benefits of laser-drilled diamonds ought to be at the top of your To-Do list. Whether you plan to pop the question with a dream-diamond engagement ring, or give the apple of your eye the gift of diamond jewelry, put February 14 in your digital planner—and know that the celebration of love and affection is nearly upon us. Creating a special experience for Valentine’s Day requires some planning and forethought. Case in point: Think you can wait until a few days before Valentine’s Day to make a reservation at your sweetheart’s favorite restaurant? Nope. You’ll be shut out—unless you don’t mind being seated at 5:30 or 9:30 that night. The same pre-planning ought to go into buying the dazzling engagement ring that you’ll want to be the highlight of the night. And if you are hoping to get a beautiful ring at an affordable price, start by learning about the benefits of laser-drilled diamonds. Depending on a diamond’s variables (color, cut, clarity, carat weight, symmetry, polish, etc. ), a laser-drilled diamond can be priced significantly less than one that has not undergone the process. The price of a laser-drilled diamond could be as much as 50 to 60 percent lower. What is laser drilling? The process improves the clarity of a diamond that may have an obvious, dark inclusion. A microscopic laser is used to remove the spot, resulting in a higher clarity grade for the diamond than it had in its previous state (in most cases, 100 percent eye clean). The laser fashioning is clean, precise, and doesn’t interfere with the integrity of the diamond. Laser drilling can raise the appearance of a diamond that was once I2. In essence, Hader Diamonds that have been laser drilled have had nature-made blemishes removed. A large dark inclusion might impede roughly 25 percent of a diamond’s sparkle. Laser drilling can also result in much greater fire and sparkle. This modern technology won’t affect mass or sacrifice carat weight. 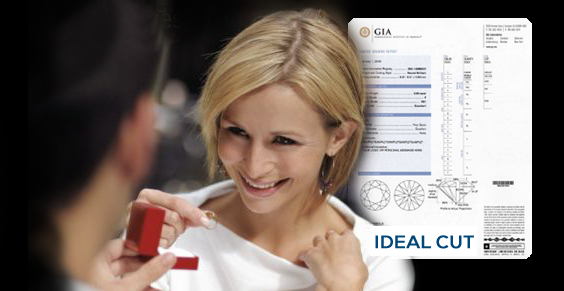 The Gemological Institute of America (GIA) says the laser-drilling process will not cause a diamond to fracture. That means it will maintain its stability and appearance for a lifetime. These types of diamonds require no special care and are worn like any other natural diamond. There’s a lot more to learn when you’re in the market for a breath-taking diamond at a great price. If you’re hoping to propose on Valentine’s Day and haven’t started looking into engagement rings yet—don’t waste another second. And put laser-drilled diamonds at the top of your search list.